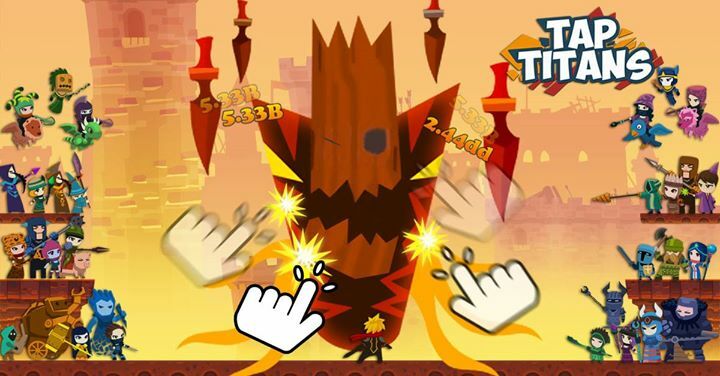 Tap Titans is a 2D Casual Tapping game developed by Game Hive Corp. 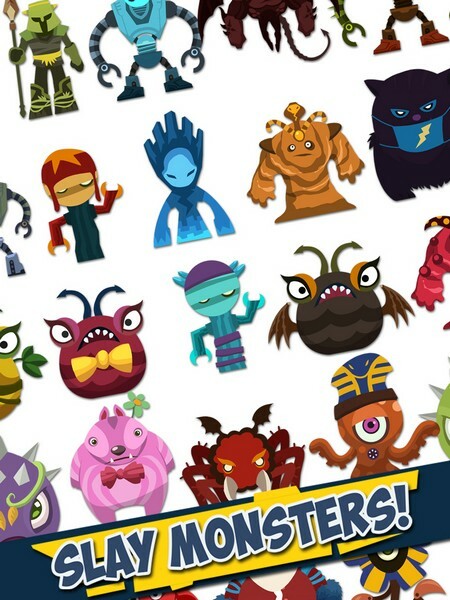 In Tap Titans, players will be given the task of defending the world from 60 unique titans that are trying to take it over. Every player will have a main character that will swing its sword at titans whenever the player taps the screen. This will deal damage to the titan and ultimately kill it when its health is depleted, making the titan drop gold upon its death as a new titan takes its place. Players will need to fight 9 regular titans and then slay a boss titan before they can advance to the next stage in the game. Players will be able to use their gold acquired from fallen titans to purchase a wide variety of upgrades and hire other heroes to help them along the way, increasing overall DPS and allowing the player to delve into further stages with tougher titans. Players can also upgrade their main character's equipment depending on how far they have progressed in different aspects of the game, giving the player some choice into what they would like to prioritize. 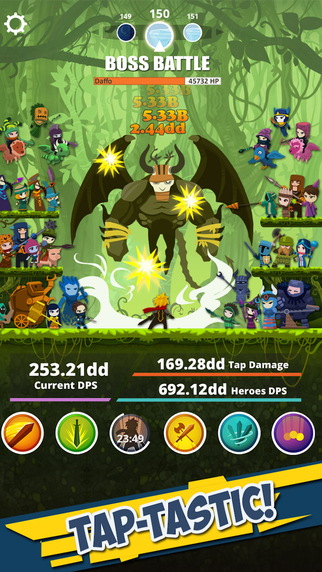 Tons of Upgrades: Heroes can be hired and upgraded, skills can be unlocked and upgraded, and even the damage that every tap does can be raised. There are tons of options available for players to spend their gold on and diversify their damage. Tournaments: Tournaments are held throughout the week and give players the chance to compete against each other for tournament points by seeing who can progress the furthest before the tournament ends. Players must prestige to enter a tournament at the same level as all other players and the tournament points earned can be spent to acquire gear for the player's main character. 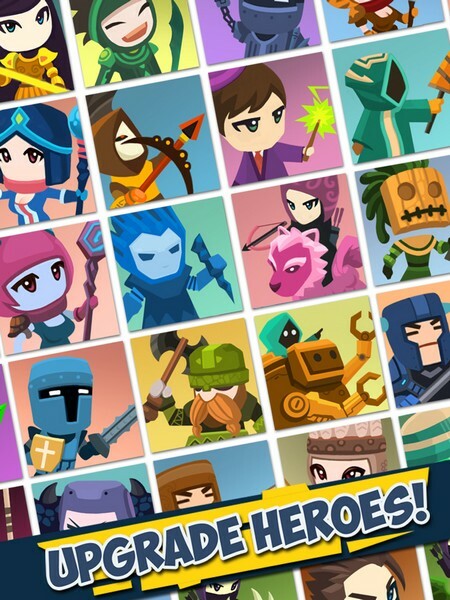 Hirelings: Tap Titans includes 30 unique heroes that can be hired to help the player slay titans. These heroes can also earn gold for the player when the game isn't running! Prestige: Once a player's main character has been upgraded to level 600 the player can choose to prestige, completely resetting their progress and undoing all upgrades in exchange for relics which can be used to purchase Artifacts. 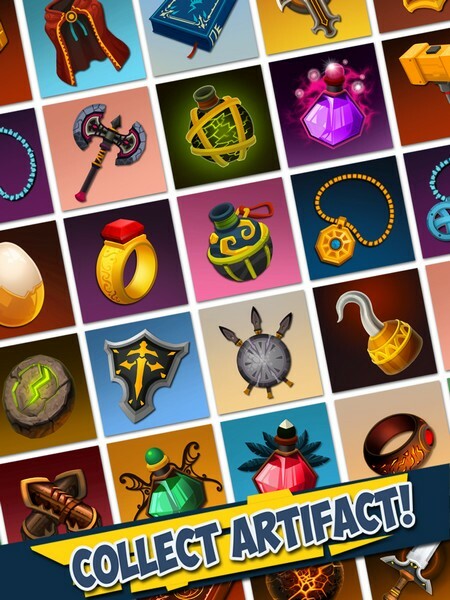 Artifacts: Artifacts can be purchased with relics which are attained by prestiging or killing exceptionally tough titans. These Artifacts can be used to upgrade the overall damage dealt by the player's main character and hirelings, upgrade specific skills, and increase the amount of gold that titans drop. Artifacts will even persist through prestiges!